“Are you an American, or are you not?” This was the question Harry Wheeler, sheriff of Cochise County, Arizona, used to choose his targets in one of the most remarkable vigilante actions ever carried out on U.S. soil. And this is the question at the heart of Katherine Benton-Cohen’s provocative history, which ties that seemingly remote corner of the country to one of America’s central concerns: the historical creation of racial boundaries. It was in Cochise County that the Earps and Clantons fought, Geronimo surrendered, and Wheeler led the infamous Bisbee Deportation, and it is where private militias patrol for undocumented migrants today. 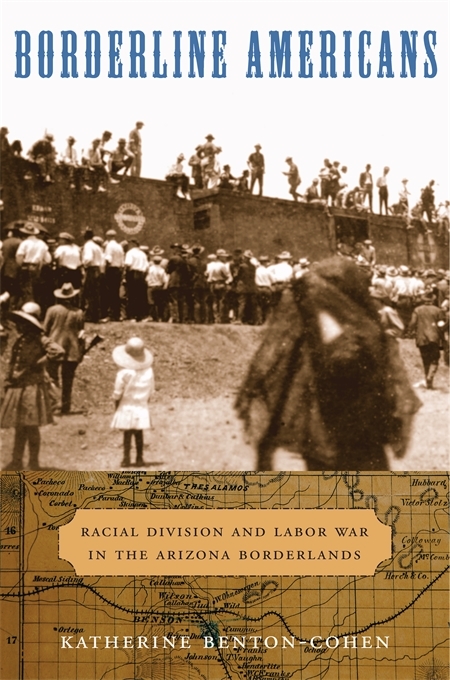 These dramatic events animate the rich story of the Arizona borderlands, where people of nearly every nationality—drawn by “free” land or by jobs in the copper mines—grappled with questions of race and national identity. Benton-Cohen explores the daily lives and shifting racial boundaries between groups as disparate as Apache resistance fighters, Chinese merchants, Mexican-American homesteaders, Midwestern dry farmers, Mormon polygamists, Serbian miners, New York mine managers, and Anglo women reformers. 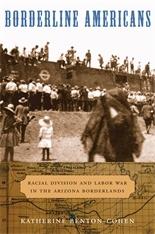 Racial categories once blurry grew sharper as industrial mining dominated the region. Ideas about home, family, work and wages, manhood and womanhood all shaped how people thought about race. Mexicans were legally white, but were they suitable marriage partners for “Americans”? Why were Italian miners described as living “as no white man can”? By showing the multiple possibilities for racial meanings in America, Benton-Cohen’s insightful and informative work challenges our assumptions about race and national identity.